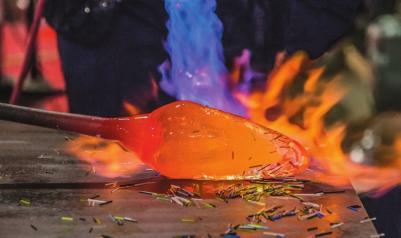 Two entrepreneurs are attempting to bring national and international attention to Shreveport-Bossier City with glass. 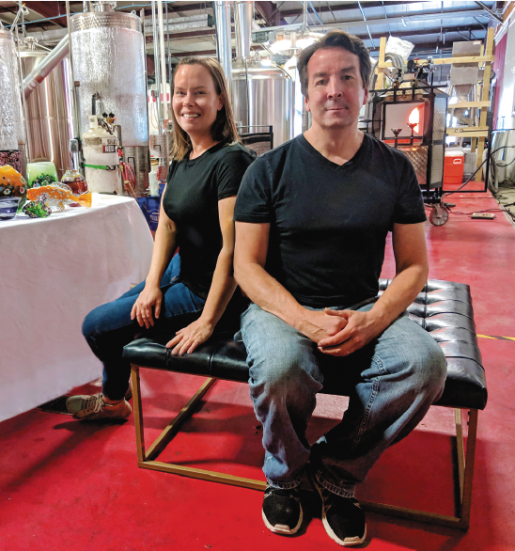 They call their venture Sanctuary Glass Studio, and Eric Hess and Michelle Pennington have been plying their trade as glass artists at the Red River Brewing Co. for several months. The two met while they were graduate students at the University of Texas at Arlington. “Michelle [Pennington] was a senior there, and I was a freshman. So I became her assistant, and we became friends,” Hess said. “We came here because Shreveport didn’t have a lot of glass [art], and I have family here,” Hess explained. Pennington and Hess have also been busy at their craft. Both have numerous examples displayed on their websites, and Hess has recently received international recognition for his work. 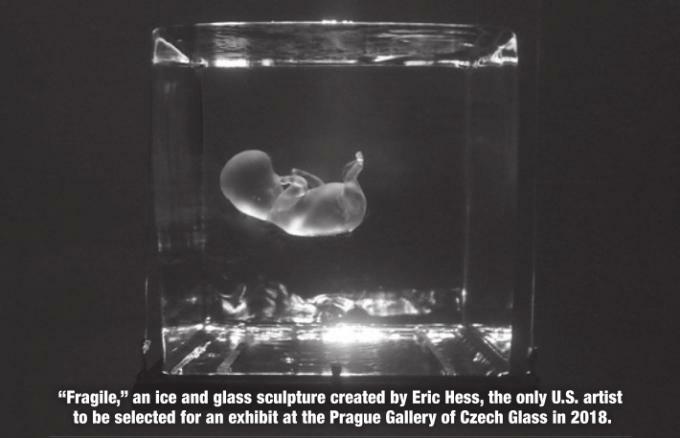 He was the only U.S. artist to be selected for an exhibit at the Prague Gallery of Czech Glass in 2018, where he received a third-place award. 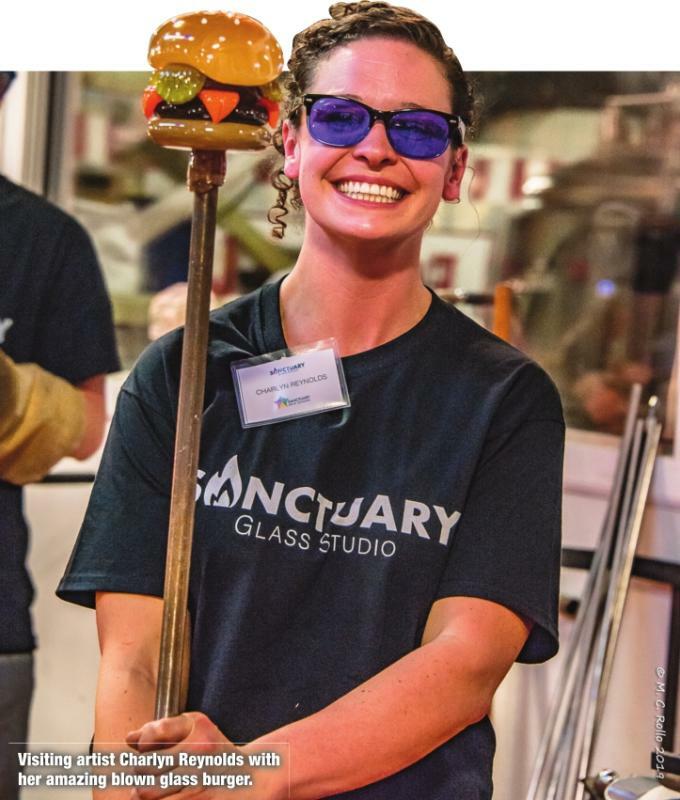 Meanwhile, Sanctuary Glass has been creating visibility locally through demonstrations at the brewery, where they have a built-in audience. “A woman who came to Red River Brewery and saw a demonstration with friends commented, ‘Glass seems to bring people together.’ That’s exactly why we do this,” she said. The facility at 1200 Market Street is nestled amongst the brewing paraphernalia and is visible through large windows through which brewery patrons can watch the process of glass art in comfort and safety and try their hand at glass arts. Sanctuary offers outreach programs through local schools. They’ve gone to affordable housing developments to with children and brought programs to nursing homes and to Providence House. “We started to work with a psychologist so that people with PTSD can utilize glass as a therapeutic process,” Hess added. 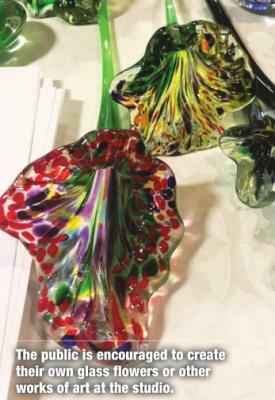 “We’re trying to think of different ways the glass arts can be utilized in the community for people who don’t necessarily do art.” Another goal is to take kids who have gotten themselves in trouble out of the juvenile justice system and teach them a trade. While the two were researching studios, they also became intrigued by the artistic and community impacts of art schools around the country, and that has helped fuel the idea of a school located in Shreveport Commons to bring students and faculty from all over the world to the only such school in the central U.S.